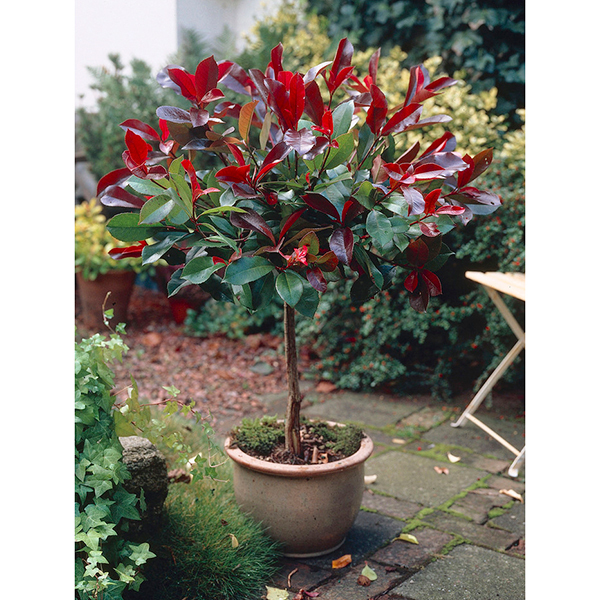 This variety of Photinia with smaller leaves than the norm is a dependable small tree that will look great at the entrance to your property. They are preferred by many a gardener as they are not much work and provide more colour than a bay or olive tree. Why not create a focal point at your porch with a pair of these in a good quality pot? These 'Little Red Robin' have been lovingly cared for over 4 years, so are established and ready to be grown in full sun in your garden.